Are you listening? Can you hear it? That whisper of Spring. Are you ready to take on those long awaited Spring projects? First, start with a deep down Spring cleaning. It’s time to declutter and freshen up those tired looking areas in your home. Or maybe you are ready for a whole new look. Now that the clutter is gone, go room to room. Make note of any areas that need a ‘lift’. There are so many possibilities. New upholstery for the living room furniture is a simple way to start. New drapes along with fresh, new bedding is a wonderful way to bring Spring into your home. Beautiful Spring fabrics are arriving daily offering an amazing selection of colors and designs to choose from. In addition to choosing fabrics for new drapes, we now offer semi-custom draperies at ready-made prices along with a large selection of ready-made drapes in stock as well. If new upholstery is not an option, colorful, decorative throw pillows will brighten up any room. Well placed lighting can make all the difference in how a room looks as well. Finding just the right floor lamp or chandelier is all-important. Refresh that old dresser or nightstand with the eco-friendly Amy Howard at Home line of chalk paint. This is an easy and cost-friendly way to add a whisper of Spring in your bedroom. Finish your Spring look with a colorful rug along with an eye-catching piece of wall art or decorative mirror. Many businesses in the area are having their annual Spring sales, offering cost-saving products and services. 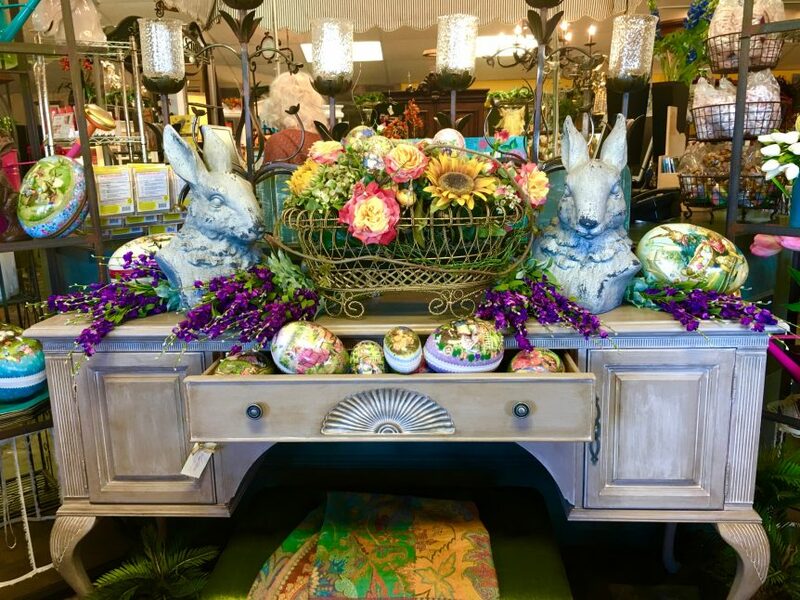 The stores are full of the latest Spring home fashions, making Spring a perfect time of year for your latest home makeover.